Polled dairy cattle trace back at least as far as pedigree records have been kept. 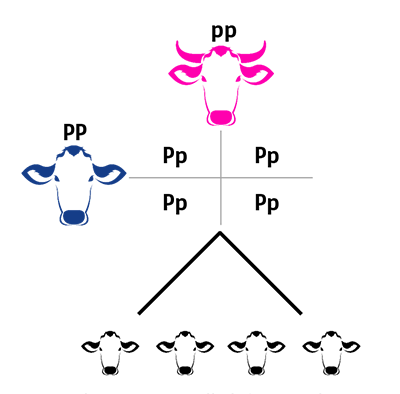 The polled gene in dairy cattle is dominant over the horned gene. Yet horned cattle are still much more prevalent in the global dairy population because few producers ever chose to select for polled cattle as part of their breeding program. This is because the real, economic paybacks of selecting for production, health and conformation traits has traditionally trumped the desire for polled genetics. 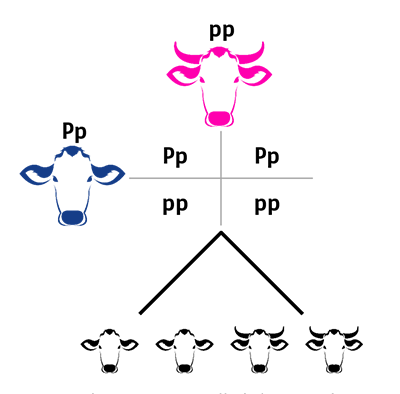 While eliminating the need for dehorning may seem like the right choice for your dairy, the genetic sacrifices you will make in order to get to that point cannot be overlooked. Whenever you add extra selection criteria to your genetic plan, you will sacrifice in other areas. Here are just a few reasons to think twice about selecting exclusively for polled genetics in your herd. Yet even with selection standards in place for the elite polled animals of the dairy population, the genetic levels don’t yet match up. Most importantly, at this point in time, polled bulls don’t yet live up to the genetic levels of their horned counterparts. With polled as a strict selection criteria, you will miss out on from the best sires, regardless if you select from the genomic or daughter-proven lists. When you figure the amount of production, health and conformation that could be lost by limiting your options to only polled sires, dehorning calves becomes even less of an issue.